San Francisco's Ferry Building may or may not be kicking tenants out the door. It all depends on who you believe. Reports surfaced late last week that two recently departed Ferry Building tenants did not leave the organic market on their own terms. Both Tsar Nicoulai Caviar Café and LuLu Petite told SFoodie they were forced to leave the market when Equity Office Properties Trust, the company that manages vendors at the building, refused to renew their leases. Two more vendors say they would have suffered the same fate had they not threatened to sue. But Equity Office Properties Trust says the allegations couldn't be further from the truth. The Ferry Building is just charging the "fair market rate" for these spaces. "The nature of retail is that leases roll over, partnerships dissolve, owners change over, and merchants pursue other business plans," Ferry Building property manager Jane Connorstold the San Francisco Chronicle. "There are a variety of reasons businesses move on. What is important is how we retenant." 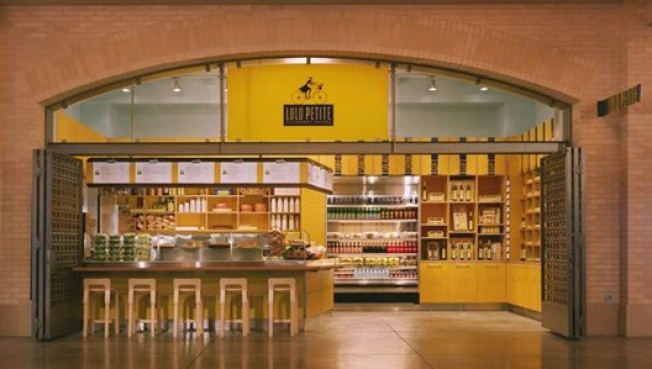 Both the Tsar Nicoulai Caviar Café and LuLu Petite were among the first tenants when the Ferry Building relaunched itself as a fancy food destination in 2003.